Homewood West 2nd Division of Public Works, North Dallas Avenue at Hamilton Ave. (412) 665-3609. Elliott 5th Division of Public Works, 1330 Hassler Street off Herschel & Steuben (near Herschel Park). (412) 937-3054. Please remove all decorations, plastic bags, and tree stands. Christmas trees set at the curb will be sent to the landfill. Call 311 for more information. For more information about all sorts of recycling, see their website . 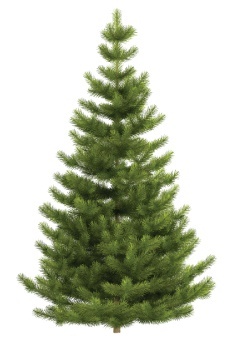 Allegheny County, PA - Again Offering Christmas Tree Recycling Program. Click here for locations, updated information and more details. 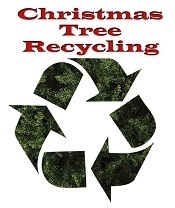 Indiana County, PA - Christmas Tree Drop Off Recycling. Following each Holiday season, the Indiana County Solid Waste Authority accepts live Christmas Trees during its Christmas Tree Drop Off Recycling Collection. The collection typically runs from December 24th until mid February. All tinsel, decorations, wires, hooks, and bags MUST be removed from the trees prior to dropping them off at the Recycling Center. This is a drop off collection ONLY! No trees will be picked up at the curbside. All trees dropped off at the Recycling Center are chipped and the material is donated for use in Indiana County Parks. 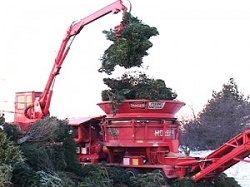 Many municipalities offer tree collection programs. Please contact your municipal office to find out if they offer a similar program. Mt. Lebanon, PA - Christmas trees will be picked up at curbside for recycling by our contractor on 2 Saturdays in mid January . All areas of Mt. Lebanon will be picked up on those dates. Please have your tree at the curb the night before either collection date. The contractor has been instructed to leave any trees that are in plastic bags, so please make sure that your tree is not in a bag and does NOT have any decorations or lights on it, including tinsel. These trees will be recycled into wood chips and any foreign material on the tree could potentially damage the equipment. After January 14, trees may be placed at curbside for regular trash pickup. If you wish, you may drop your tree off at the Public Works facility yourself for recycling during this period. An area will be designated with a sign for this purpose. Washington County, PA - Washington County is again offering Christmas Tree Recycling at Mingo Creek Park and Cross Creek Park. Designated drop sites will be marked with signage. The drop off sites will be open starting January 2 through January 25 from 8 am to 3 pm. Trees must be clean of ornaments and tinsel. Please see the 2016 Christmas Tree Recycling Flye r for more information.